Staff - Sun Builders Co. Established by construction specialist Philip F. C. Aiello in 1979, Sun Builders Co. has been family-owned and operated since its beginning. 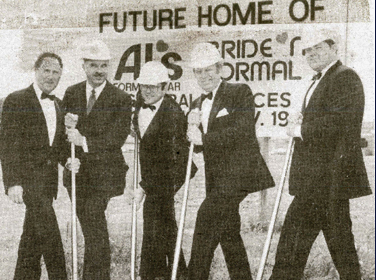 Aiello’s daughters Mary Miller and Gilda “Gigi” Thompson learned the retail construction trade from their father and continue to be actively involved in daily operations. This family-owned business is supported by a remarkably long-standing staff of estimators, project managers and superintendents, many of whom have been with the company since its inception. The continuity of the staff demonstrates the stability and reliability of Sun Builders Co., and the substantial experience of our construction professionals allows Sun Builders Co. to build faster than the competition while maintaining a high level of quality. President and Estimator Gilda (Gigi) Aiello Thompson earned her BS degree in Mechanical Engineering at Texas A&M University. She received estimator and management training under founder Philip F. C. Aiello and has worked for the company since 1980. Secretary, Treasurer, and Comptroller Mary Aiello Miller, has been with Sun since its founding, and she has served as Chief Financial Officer since 1982. Mary earned her BA degree at the University of Houston. Vice President and Senior Estimator Randy Thompson has been with the company since 1988. He earned his BS degree in Engineering Technology - Civil Construction Specialty from Texas A&M University.